Mary McAuley is not quite justified, in my opinion, in calling my review hostile. My attitude toward her work does have an emotional component, but it may be more accurately described as one of apprehension. Her reply only strengthened that feeling by revealing further contradictions in her position. Shmidt, Victoria. 2009. “Juvenile Justice: Ambiguity Produces Stereotypes. A Rejoinder to Mary McAuley”. 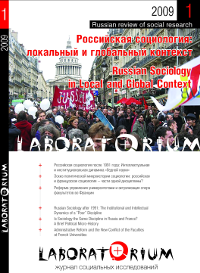 Laboratorium: Russian Review of Social Research 1 (1), 274-75. http://www.soclabo.org/index.php/laboratorium/article/view/141.